My name is Walter Metzen and I am a Board Certified Specialist in Consumer Bankruptcy Law in Michigan as recognized by the American Board of Bankruptcy Certification. I have been helping both individuals and married couples file bankruptcy for over 20 years and have filed well over 10,000 bankruptcy cases in Detroit Bankruptcy Court. When you come to my office, you will sit down with an experienced bankruptcy attorney who will completely and confidentially examine your particular financial circumstances, explore any and all reasonable alternatives with you, and then advise you of the best options available to you ranging from a simple Chapter 7 “wipe out credit cards and medical bills” type of case, a Chapter 13 repayment plan in which we set up a repayment plan based on what you can afford, to complicated Chapter 7 matters involving large debt or businesses. 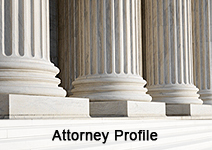 I am an AVVO rated attorney with 20 years of experience in solving complex bankruptcy related problems. If you are facing creditor harassment, I can help you legally eliminate your debt and get you and your family a fresh financial start free from the burden that overwhelming debt can create. 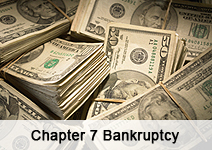 I specialize in representing debtors in Chapter 7, and 13 bankruptcy cases throughout Southeastern Michigan. I know the law and the bankruptcy court system like the back of my hand and I have great working relationships with our Detroit Bankruptcy Judges and the Chapter 7 and 13 bankruptcy trustees in our district. 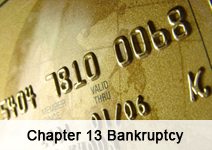 The new bankruptcy law is now in effect. Filing bankruptcy now is more complicated, but I can make it simple for you. I pride myself in using the most advanced state-of-the-art technology to assist my clients, including Best Case Bankruptcy Software, the American Bankruptcy Institute’s VOLO Research Software and the United States Bankruptcy Court’s Public Access to Court Electronic Records (PACER) system. This system allows me to review and print out detailed information on all bankruptcy cases filed throughout the United States. I use CIN Legal Data Services to obtain your credit reports containing detailed addresses of the legal and bankruptcy departments of your creditors so that accurate notice can be provided by the bankruptcy court and to ensure the most accurate preparation of your bankruptcy schedules. I am not afraid to handle emergency bankruptcy filings that other lawyers refuse to touch. In 30 years of practice, I have been 100% successful in stopping foreclosures, even when I have been hired one day before the foreclosure sale. If you are considering filing a personal bankruptcy in Michigan and would like to talk to an attorney regarding your particular matter, please call me at 888-777-FILE or email me directly by using the form on the right. When you hire my office to represent you, you will not be meeting with a legal assistant or a paralegal. 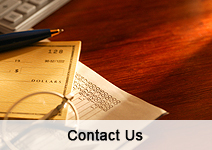 You will meet directly with an experienced Michigan bankruptcy attorney who specializes in these matters. I take a very detailed approach with my clients and bankruptcy cases, being involved in your bankruptcy case during the entire process. I devote the necessary time and attention to each bankruptcy client and their case, preferring to take on fewer cases to accomplish this goal. My office is conveniently located just one block from the United States bankruptcy court in downtown Detroit. I purposely chose this location so that I could file and appear in Court on my client’s behalf at a moments notice or in emergency situation if necessary. Call my office today so that I can help you determine the proper course of action to take in achieving the debt relief you deserve. I offer clients flexible appointment times with walk-ins and evening appointments available for your convenience. I offer a free initial consultation so you can speak with me about your situation without cost or obligation.